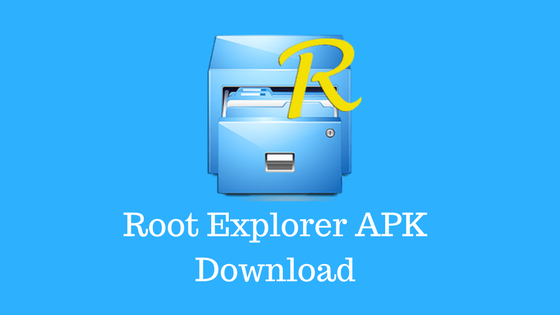 Root Explorer APK: Root Explorer is the ultimate, one of the best and most potent file manager which has many functions for root users. It is available in google play store and getting 4.7 stars out of 5. It allows you to access your android file system including delete system related file if your device is rooted. In the non-rooted device, it permits to access files, music, photos, documents, etc. so in short it is one of the best file manager app with some unusual feature that other apps don’t have. Root explorer apk is a definitive file manager for rooted and non-rooted Android device, millions of people are using it. The one thing it requires is root permission, once it is done that you can reach t every folder of your device on the phone as well as in memory card. In this article, we will provide you man things like a guide to download Root Explorer and install it, key features, permissions, etc. so that you can easily manage it on our device and enjoy a better experience of android. 16 How to Use Root Explorer Effectively ? Root explorer apps are one of the best file managers for Android rooted device, which let a user access application data or system files. As the name suggests, it requires root access to enjoy every feature of it on your device. Root Explorer has an inbuilt feature of numerous tab. Very few application has this feature, and Root Explorer is one of them. Using it, you can open multiple tabs like a web browser, and it is easy to use. It supports all the above listed online storage. Now, you can directly sync all your files to these storages. Zip or gzip or RAR files are not readable by default on Android. For that, we have to extract it, but with this app, you download and read this files directly in this format. You can select multiple items or things at same time. The scripts save on your device can be executed or run with the help of Root Explorer. You can search for any file or folder with its name and can get permission to view them and even change them. You can bookmark certain files and folder and next time when you open; you can get instant access. You can view the XML file of any APK file and also edit them too. But do this carefully otherwise it can damage app or device. It can send files via Bluetooth, email, etc. It provides Image thumbnails, too. You can change file owner or group. It can create a symbolic link. It has SQLite database viewer feature. To install this file manager app first root your device with rooting apps like KingRoot, SuperSU, etc. Now open a device and go to the settings>>security>> unknown sources. Enable unknown sources. Now to the file explorer and find apk file from it. It is located in the download folder. Once you find it, click on it and follow the on-screen instructions to install. It will take a minute or two to install. Once it installs, all set! Your app is ready to use. Can Not Push Apps In System Folder. Push Apps In System Folder. How to Use Root Explorer Effectively ? To use Root Explorer is very easy but at an initial stage, you have to do some struggle. It mainly works as file manager, which will help the user to delete, open, copy, close, paste the files or data available on the device or SD card storage. It is not highly protected security system so to protect your data use another security app from the store. If you want to run this app on pc, then with the help of android emulator you can do it, too. Even it can help to use paid android apps and games freely. Open the installed root explorer icon from your Android device by clicking on the icon. Now root explorer will open to use. Next, in a search bar type a name of the files you want to pick or use. You can delete the unwanted files, folders, images, documents, etc. If you want to open a zip file or folder, then open it by generating the new file. Note that once you open this app, it remains open until you do not close it properly. Don’t let any malware or unwanted files to access your information. Root Explorer is truly an amazing, useful and versatile must-have Android app that is popular and effortless to use. But, if you do not use this app can carefully, then it cause severe damage to applications and your smartphone too. So do not try anything with improper knowledge. And hopefully, you like this article and will enjoy this app, too. You will not meet to any trouble if you use it perfectly. But as we are a human being and we made a mistake, in that case, try to find a solution and if not find then contact us. You can leave your problems in the comment box so that we can help you to solve it. In addition to this if some other will face the same problem then he/she can also find a quick solution or get an idea from you. At last, if you like this article, then share it with your friend and family members and do not miss to give your suggestions as they are essential to us. Thank you for supporting and reading!